Here are a couple of wonderful online places to gather with other jewelry artists! You will find like-minded, similarly obsessed people to hang out with, trade tips, share sources, and swap stories. You have to register to participate at each one, but it is well worth it! It’s great to have lots and lots of bead and jewelry lovers to schmooze with! Friendly and knowledgeable, Tammy Powley guides this lively forum. Very personable and talented group. Lots of off-topic community building discussions. Well organized forum with lots of talented and helpful members. Wonderful community with on-going projects, daily show and tell, and “wear” it’s at threads. Nice community with some serious beaders! A friendly forum with lots of lively discussions. Learn how to give your designs that “extra something” here. 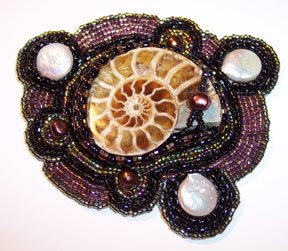 A not for profit web site dedicated to the sharing of accurate information about beads.